On Monday, India entered the final of the Intercontinental Cup Football tournament beating Kenya 3-0 in Mumbai. 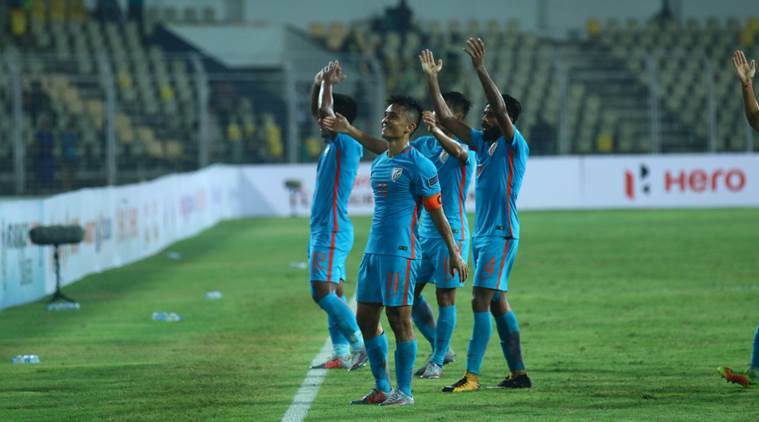 Captain Sunil Chhetri's double strike helped India record a comprehensive victory over Kenya to enter the final. Chhetri earned a penalty and broke the deadlock in the 68th minute, while Jeje Lalpekhlua doubled the home team's lead with his pile driver in the 71st minute. Chhetri ended it in the best possible manner, scoring in the stoppage time off a Balwant Singh assist, as fans went berserk.